Mit mehr als 2100 verkauften Menütickets bereits die Vorverkaufszahlen der letzten Olympiade 2012 übertroffen. With a promotional tour of the five states of Thuringia, Saxony, Saxony-Anhalt, Hesse and Bavaria, the team of the IKA/Culinary Olympics drew attention to the gastronomic highlight in October. “Our goal is to win shop owners and employers as partners for the event and to interest even more visitors for the Culinary Olmypics 2016” says exhibition project manager Jennifer Weisheit. 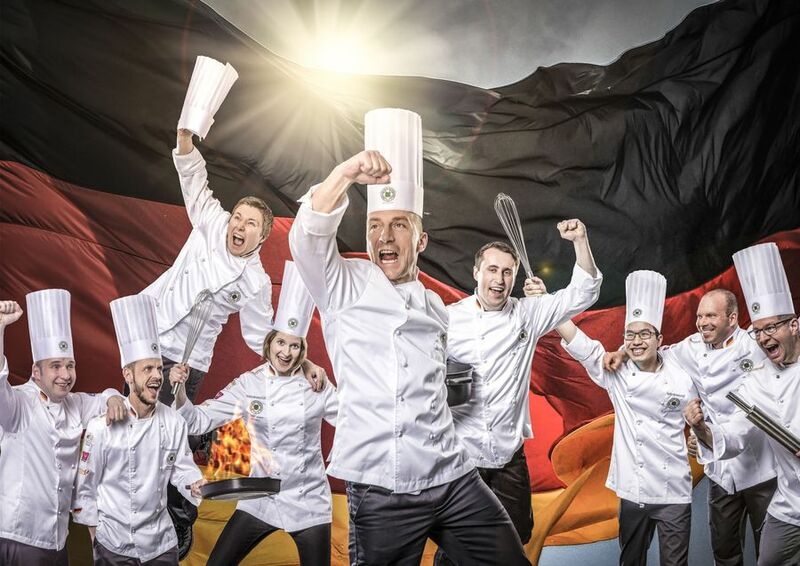 More than 2,000 chefs from more than 50 countries are expected to visit Erfurt for the Culinary Olympics in October. At the accompanying trade fair “inoga” 150 exhibitors of the gastronomic industry will present the latest trends and discuss the hot topics of 2016. “Ticket sales for the Culinary Olympics are booming,” says Weisheit. With over 2,100 sold menu tickets the IKA/Culinary Olympics 2016 have already exceeded the result of advance sales figures of the last Culinary Olympics 2012. From 72 available menus 21 are already sold out. Tickets can still be bought at www.inoga.de.